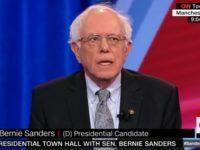 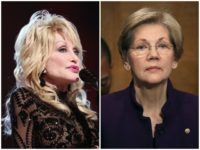 A manager for Dolly Parton called out Democratic 2020 hopeful Sen. Elizabeth Warren (D-MA) saying she did not get approval to use Parton’s song “9 to 5” at her campaign events. 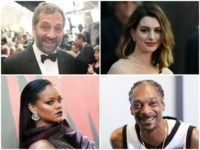 A slew of left-wing Hollywood celebrities, including Judd Apatow, Debra Messing, and Alyssa Milano, are set to co-host a get out the vote “Telethon for America” on the eve of the midterm elections. 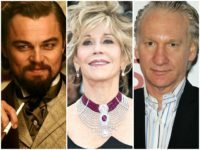 Actress and left-wing activist Jane Fonda on Thursday compared President Donald Trump’s passionate defense against false reportage by the establishment media to Adolf Hitler’s attacks on the German press. 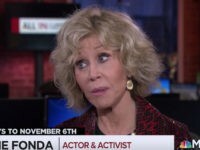 Actress and left-wing activist Jane Fonda said that people should “get in the streets” and “shut down” the United States if President Trump fired Robert Mueller during a panel in New York City this week. 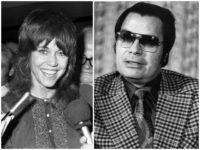 Jane Fonda has been honored with a lifetime achievement award at a northern Michigan film festival founded by Oscar-winning filmmaker Michael Moore. 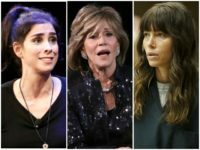 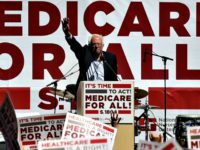 Left-wing actresses including Jane Fonda, Rashida Jones, and Lily Tomlin are participating in a mass Democratic voter drive for November’s midterm elections. 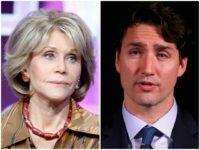 Actress and activist Jane Fonda claims that the confirmation of Judge Brett Kavanaugh as the next Supreme Court Justice would be a “catastrophe” for women and worker’s rights in the United States. 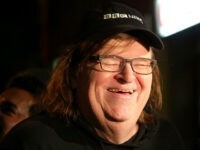 Michael Moore announced Wednesday that his Traverse City Film Festival will honor actress and fellow activist Jane Fonda with a lifetime achievement award during its 14th session, which will begin July 31. 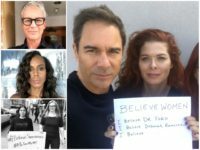 Hollywood celebrities are coming to the aid of the abortion industry following the Trump administration’s announcement of a new rule that ends the notion that abortion is health care or family planning and requires abortion facilities to be physically and financially separate from federally funded family planning centers. 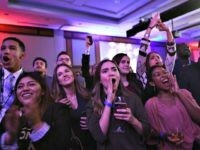 Executives at NBC News were reportedly “shocked” and “stunned” by the severity of ‘Today’ host Megyn Kelly’s on-air takedown of Jane Fonda this week, according to a report. 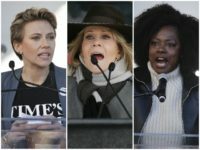 Celebrities were out in full force Saturday for the Respect Rally at the Sundance Film Festival in Park City, Utah, one of numerous Women’s March events happening across the country on the anniversary of President Donald Trump’s inauguration. 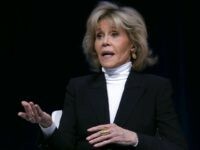 Actress and left-wing activist Jane Fonda poured praise on former San Francisco 49ers quarterback Colin Kaepernick Sunday night at ACLU of Southern California’s annual Bill of Rights Dinner. 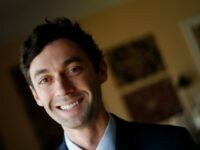 Failed Georgia Democratic congressional candidate Jon Ossoff is relaunching himself by attacking President Trump. 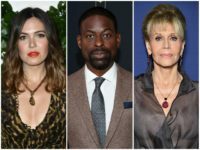 The older stars are shining the brightest at the Venice Film Festival — and having much of the fun.